Make yourself at home in one of the 30 guestrooms. Complimentary wireless Internet access keeps you connected, and satellite programming is available for your entertainment. Conveniences include phones, as well as safes and desks. 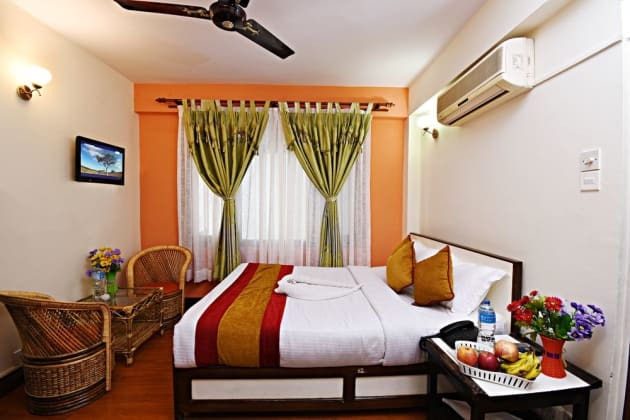 Make yourself at home in one of the 43 air-conditioned rooms featuring LED televisions. Your Select Comfort bed comes with down comforters. Rooms have private balconies. Complimentary wireless Internet access keeps you connected, and cable programming is available for your entertainment. Private bathrooms have rainfall showerheads and complimentary toiletries. 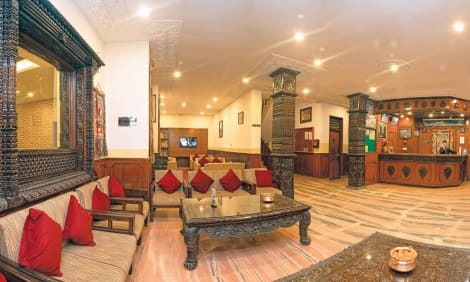 A stay at Kathmandu Madhuban Guest House places you in the heart of Kathmandu, within a 15-minute walk of Kathmandu Durbar Square and Garden of Dreams. 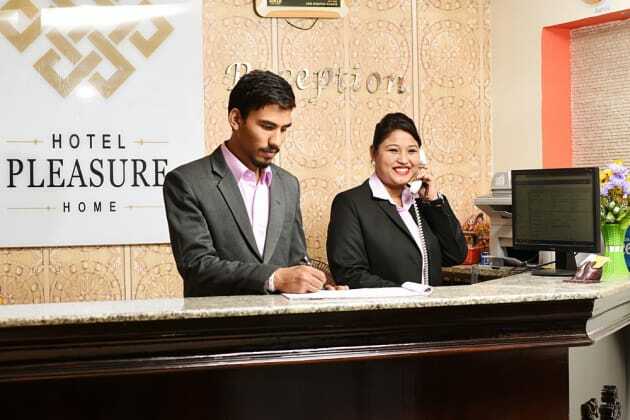 This hotel is 3.3 mi (5.4 km) from Pashupatinath Temple and 4.3 mi (6.9 km) from Patan Durbar Square. 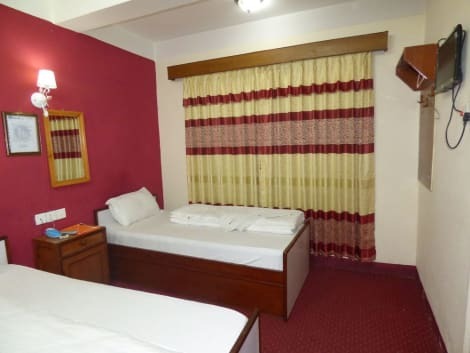 OYO 109 Kathmandu Embassy Hotel is located in Lazimpat. 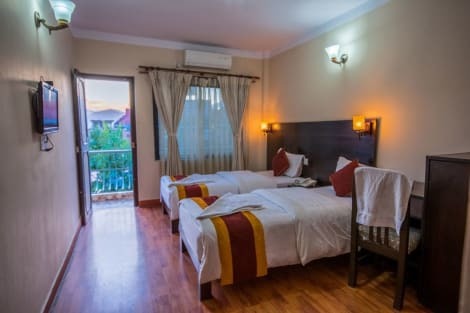 All rooms are equipped with flat-screen TV and either a balcony or access to a terrace. The rooms have attached bathroom with 24 hours hot water facility. Some units feature air conditioning as well. Free Wi-Fi is available throughout the property. 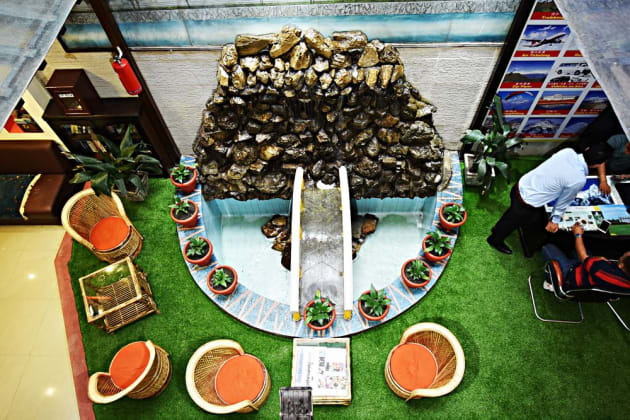 Guests can dine at the in-house restaurant and room service is provided round the clock. The former Royal Palace, now the Narayanhiti Palace Museum is less than 1 km from the hotel. 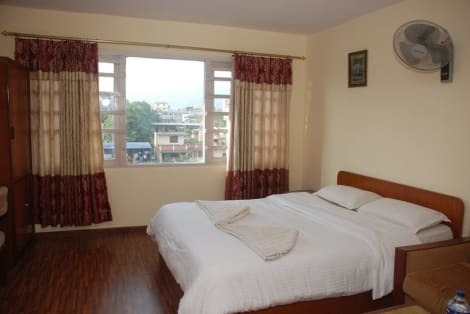 The nearest airport is Kathmandu Tribhuvan Airport, 5 km from OYO 109 Kathmandu Embassy Hotel.